Mozart wasnâ€™t born with perfect pitch. Most athletes are not born with any natural advantage. Three world-class chess players were sisters, whose success was planned by their parents before they were even born. Anders Ericsson has spent thirty years studying The Special Ones, the geniuses, sports stars and musical prodigies. And his remarkable finding, revealed in Peak, is that their special abilities are acquired through training. The innate â€˜giftâ€™ of talent is a myth. Exceptional individuals are born with just one unique ability, shared by us all â€“ the ability to develop our brains and bodies through our own efforts. Anders Ericssonâ€™s research was the inspiration for the popular â€˜10,000-hour ruleâ€™ but, he tells us, this rule is only the beginning of the story. Itâ€™s not just the hours that are important but how you use them. We all have the seeds of excellence within us â€“ itâ€™s merely a question of how to make them grow. With a bit of guidance, youâ€™ll be amazed at what the average person can achieve. 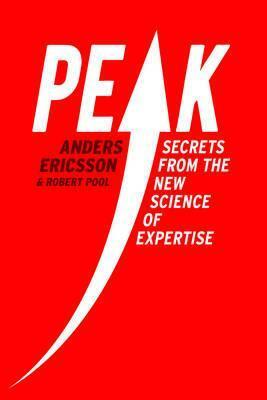 The astonishing stories in Peak prove that potential is what you make it.